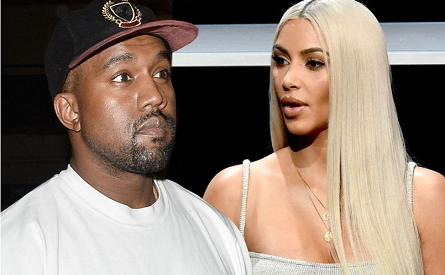 We always had an inkling Kanye West , 40, liked to take things to the extreme, but apparently he's driving his wife Kim Kardashian West , 36, crazy with his ludicrous demands of the couple's surrogate. As the unnamed woman - allegedly she's a mother-of-two in her late twenties - gears up to birth one of the most famous babies in the world, the rapper has got the woman under his thumb, according to Heat magazine. According to Heat, he's demanding the woman be available whenever he asks - heaven forbid she be getting the forty winks required in order to grow a human - as well as only eat chef-prepared meals and that, most hilariously, she play only Kanye's music. As Kanye says himself: No one man should have all that power . A source told the magazine the duo even randomly make surprise visits to see she's doing everything they say. They said: "He's literally checked everything in her home for safety, right down to the soap she uses. The drop-ins are probably the worst part - she always needs to make sure everything in her home is up to their exacting standards." However, after Kanye went through Kim's closet and gave it an overhaul when they first started dating, turning her into one of the most stylish celebs there is, we don't necessarily see anything wrong with a Kanye-makeover. Seems he's also devised a little revamp of the Kanye West Workout Plan , as the magazine suggests he's gone so far as to come up with a handy pre-natal exercise routine. And Kim isn't handling it well, with the source adding: "Kim just lets Kanye be Kanye, but she feels bad for the woman carrying their baby, because she knows how strict he can be. "He's now pushing Kim to let the surrogate actually move in with them for the last few months."